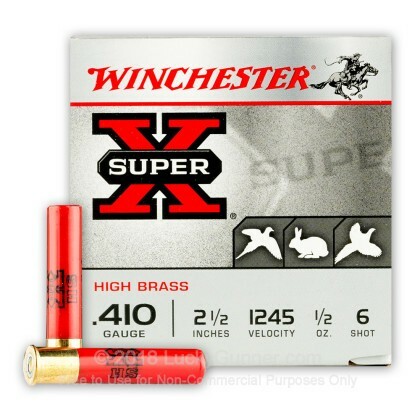 Skilled small game hunters will appreciate the accuracy and low overpenetration risk of this 410 bore load from Winchester. Each shell in this box of 25 fires a 1/2 oz. payload of #6 shot at a muzzle velocity of 1,245 feet per second. This relatively weak payload is actually an advantage in the right hands, as it reduces the "overkill" damage done to fur and meat. 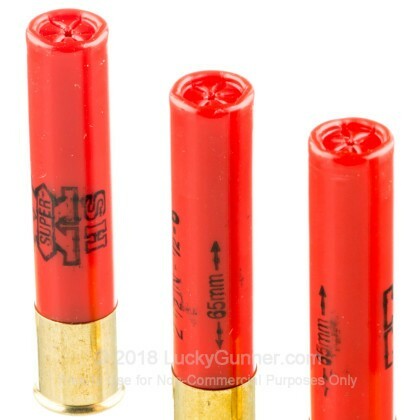 These shells are loaded with birdshot for hunting squirrels, rabbits, and of course small birds. 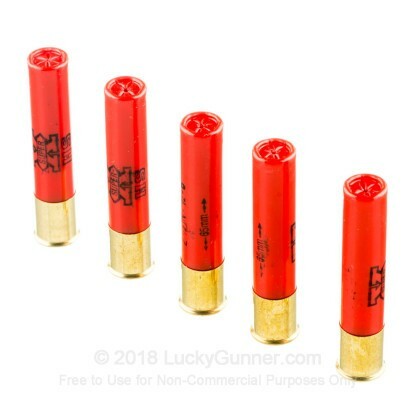 They should not be used for self-defense due to their low penetration. 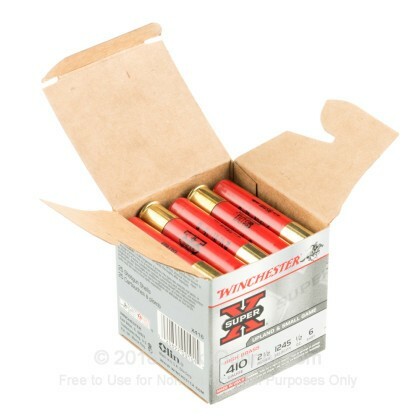 Winchester ammo is manufactured in the USA! 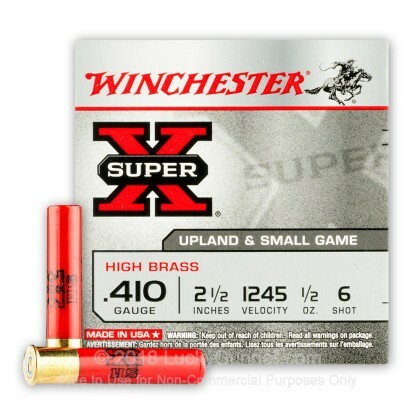 We don't have any reviews yet for this particular 410 Gauge ammo from Winchester. 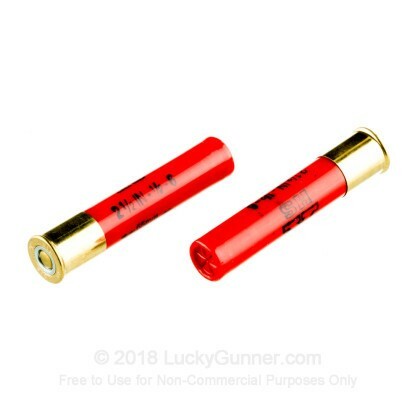 If you'd like to be the first to review this particular 410 Gauge ammo from Winchester, fill out the form below.